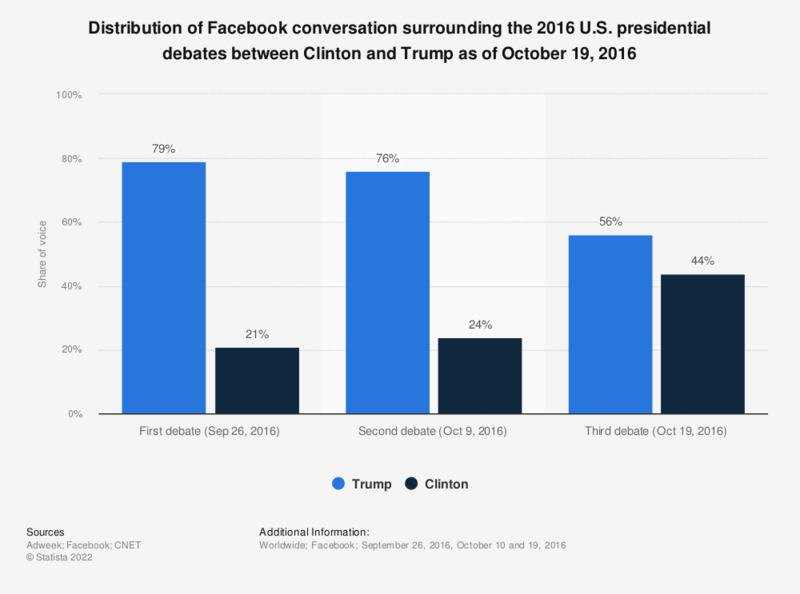 This statistic shows the distribution of Facebook conversation surrounding the 2016 U.S. presidential debates between Clinton and Trump as of October 19, 2016. During the second debate, Republican nominee, Donald Trump, accounted for 76 percent of Facebook buzz. UK survey: Do you agree that Donald Trump will build the wall on the Mexican border? Do you think Russia created and spread fake news stories to help Donald Trump win the election?